First of all, thank you for considering helping out WordCounter.net! A lot of time and energy has gone into making WordCounter what we hope is the best word counting tool on the web. There are several ways you can help us out, and if you choose to do so, we would appreciate it very much! Bookmarking helps you get back to WordCounter quickly and easily. 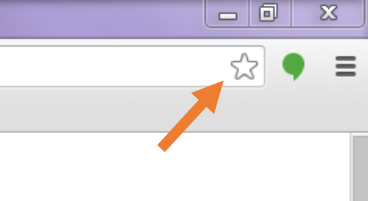 How to: Open our homepage and click on the star-sign to bookmark WordCounter now. Help get the word out about Word Counter. Share us on one of your favorite social media sites. 3. Have a blog? Write a review! Write a review about how WordCounter helps you out on a day to day basis.